So when did HH commit treason ? What vengeance can do! 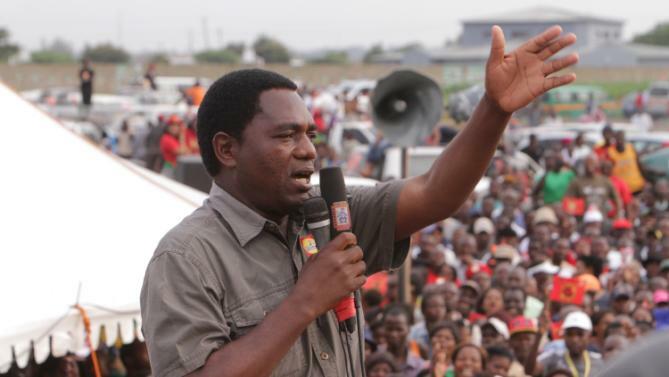 The whole world knows that Hakainde Hichilema was arrested for treason, because he allegedly refused to give way to Edgar Lungu’s motorcade in Mongu during the Kuomboka ceremony. In the Zambian context , Treason is an attempt to overthrow a government and a person guilty of treason in Zambia is sentenced to death. Lungu, inspector General of police Kakoma Kanganja and Amos Chanda plus many PF functionaries made it clear prior to the raid on HH’s home that he would be arrested for treason following the Mongu road rage. Many people thought this was a joke. Who could be charged with treason for ‘racing’ with a presidential motorcade?’ People mused. But no it was not a joke or empty threat. People underestimated the anger and bitterness that rules the current government. The police indeed were sent to arrest HH at night for his crime of treason in Mongu. How the arrest was conducted is now an international masterpiece. The other charges such as ‘using insulting language’ arose on the day of and in the process of arrest. But now the PF prosecutors have changed the reason for charging HH with treason. According to the charge sheet in court, the treason did not occur in Mongu but in Lusaka on dates ‘unknown’ but between September 2016 and 12 April 2017′. Is this really not fishing? HH has been arrested with his body guards and cook. Since treason is plotting to or actually taking steps to over through a government, is the PF telling us that HH plotted to overthrow government with his bodyguards? We thought such an operation can be done with senior party officials and soldiers? It is very clear that the PF prosecutors are embarrassed of presenting such a charge of treason in court so they are not sleeping looking for something resembling treason that HH could have done last year. That is why even the way the charge was written did not make sense and was laughed out of court. Now they redrafting the charge. So far it seems they will rely on HH’s refusal to recognise Lungu as duly elected president. But is that treason? We don’t think so. Treason is clearly defined in our laws. It implies taking an action.